Racer comments from Queensland's fifth round of the year. 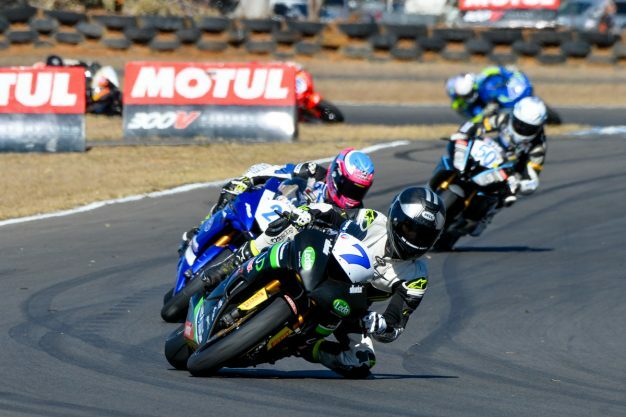 A selection of riders detail their day at Morgan Park’s fifth round of the 2018 Yamaha Motor Finance Australian Superbike Championship (ASBK) presented by Motul Pirelli. Team and privateer competitors can submit comments to [email protected] by Monday afternoon following events for inclusion in the post-event Quotebook feature. I’m satisfied to an extent, because if I was younger I’d be really upset with the result, but honestly it was okay for us at this stage. We’re a bit disappointed because we believed we could win both races, but we were certainly amongst it at the front and put on a show – that’s always a positive. This round was hopefully going to be the turning point for a last-ditch run at the championship, but that’s finished now. The plan was to get pole and two race wins here, which didn’t pan out, so now we just have to aim for some wins and more good results for our DesmoSport Ducati team and sponsors. In race two we had made a couple of tiny changes that we thought might help, but the tyre went downhill really fast again. 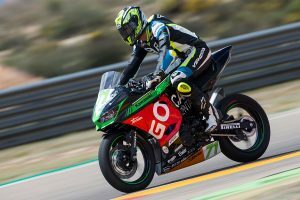 I had no rear brake as I overcooked it a bit and had a small run-off, so that was that – it was just one of those things. We’re still third in the points and second would be the goal, so finishing the year strongly is the only thing that we can do! This was the best weekend I’ve ever had, really! We had a lot of pace all weekend and it showed in qualifying when we set pole position on a race tyre. In the races we had a clear strategy to save the tyre as much as possible in the early stages and I think that showed. We were able to pick off the other guys as the races wore on and, in the end, it resulted in two dominant race victories. I’m just that stoked for the whole team to deliver this type of reward, so thanks to everybody at Penrite Honda Racing and all of our supporters. Now we are really looking forward to the next round. Today was definitely a tough one, but we did what we could with the 7-6 results. We are all working hard, the team and bike are really good, but we just have to bring it all together and keep moving forward when we get to Winton and then Phillip Island. We’ll see what those weekends bring. Overall, if you take away Sunday’s racing, I’m happy with how I rode. I ended up in the top 10 for the practice sessions and qualifying, so it ended up being really positive for me. I’ve been told I need to be inside that top 10, so to do it was pretty cool. Obviously I lost the front in the first one and got no points, that’s just a mistake of my own. In the second race I cooked my tyre a little early, so I don’t think the races reflected the pace I had for the weekend, but it’s given me a good feeling and I’m pretty keen for the testing at Winton in a couple of weeks. It was quite a good weekend for us and I’m really happy to bring home seventh overall. In practice we had a few little set-backs, trying different tyre choices to see if they worked for our bike. They kind of did, but didn’t, so we went back to our base and that was great. I’d have liked to qualify a little bit further up the grid, so everything was 50/50 at that stage, but come the races everything really sorted itself out. We had a good battle in the last 10 laps or so of each race, which was really good and a lot of fun. It’s always positive to be first privateer home and ahead of some riders within the factory teams. It’s good for our shop-based team and happens every so often, which is great, so that’s something we have to keep working towards and keep moving on from this point. Following the set-backs we had in Darwin with a bit of an up and down weekend, since we’re not a factory team but not a small effort either, it’s nice to come away with this sort of result. From here we can only build upon this and move on to Winton now. 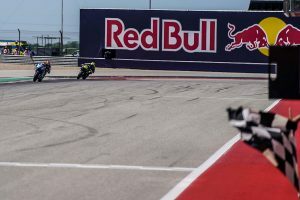 Having not raced since late June and not being able to complete the added practice sessions prior to round five, we were somewhat behind the eight ball which made it difficult to come to grips with bike setup. It’s a nice, short turnaround between rounds this time, so we’re looking very forward to getting back on track at Winton and hopefully enjoy a more competitive weekend of racing. I was just hanging onto the back of the front group of riders in race two. It was just the middle sector where I was just losing a bit of time, which is something which we are going to have to work on. My outright speed is what the other guys can do in race pace, which is something which we struggled with here. I don’t think we are far off, just a tenth or two in vital parts of the track or the race that let us down but we will keep working on it. I’m still second in the championship but anything can happen so we have to keep fighting and plugging away. To finish both races and still get consistent points is good for our championship,” said Falzon, who racked up his 50th Superbike race start in race two at Morgan Park. I have to thank the crew at Yamaha Racing Team this weekend. They really did shine when repairing the bike after my accident on Saturday, to the point where I raced it today and had no issues with it, at all. The Yamaha YZF-R1M has proven to be a very good bike and I look forward to developing it further with the team throughout the rest of the year. It was a difficult one. Race one was kind of tricky with the red flag and I think if that wasn’t involved, it would have been a lot different. 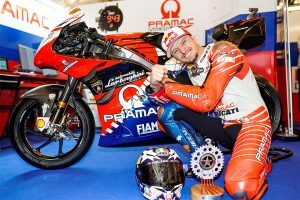 I was right behind Cru [Halliday] and I had the ideal tyre, so I thought I’d be able to challenge him. I ended up getting caught up with Max Croker on the way into turn six, made a mistake and lost around 12 seconds. Race two I had nothing to lose. In the first couple of laps I had a battle with Cru, but he knew what tyre I had and just waited until it dropped off – I couldn’t really do anything about it. 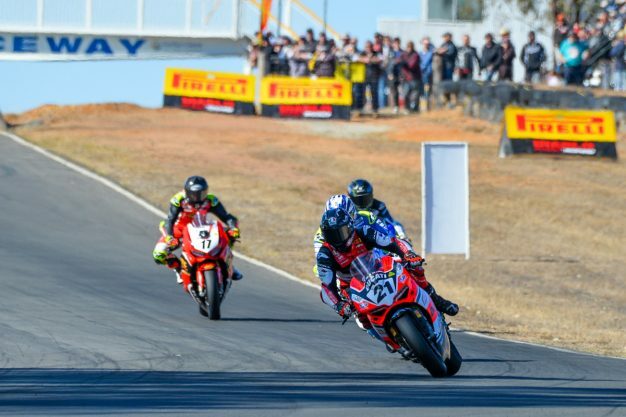 It’s hard to see someone ride away from you like that, but we’re heading into Winton now and just have to make the most of testing and keep trying hard. Tom, Max and Damon raced really well today and I enjoyed the battle with them. Each of them had strengths in certain parts of the track and it made me not just try and ride fast but also think my way past them. I loved the challenge of that and happy I was able to make it happen in both races. I saw on the start line for race two that Tom went for the softer option tyre and I knew I had to stay with him at the start of the race. If he wondered off, it could have been a bit of a challenge to reel him back in. Big thanks to everyone at Yamaha Racing Team. I can’t thank everyone enough. Both Kev Marshall and Jeff Dillion have prepared me a fantastic Yamaha YZF-R6 and it’s proving to be the bike to be on.